A Paradise Valley resident for more than a decade, Yvonne Matejka brings an invaluable grasp of the Phoenix and Scottsdale market to Venture REI. 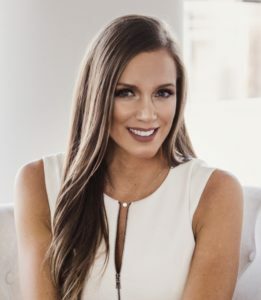 A savvy and experienced negotiator, she was recently nominated for Rookie of the Year in Arizona Business Journal, 40 under 40 in SAAR, and serves on the Board of Women’s Council of Realtors Scottsdale Area. A trusted adviser throughout every step of a real estate transaction, Yvonne is dedicated to helping her clients achieve their goals with patience, diligence, and discretion. When she’s not serving her clients in real estate, Yvonne enjoys spending time outdoors, hiking with her dog, traveling, playing chess and throwing events. She is a passionate DJ and has been producing music and performing under the name Yvonne Black since 2005. A member of the Women’s Council of Realtors, she organizes monthly fundraising events benefiting various local non-profits and devotes her time and resources to Habitat for Humanity, Child Crisis of Arizona and Foothills Animal Rescue.